I love the cup holder, so it can be closer to the car seat and the kids can reach it....instead of being so far away. I would like a new seat cover because we need a new one. I like their new Stroller Accessory Bag/Pouch. LOVE that it has 2 cup holders built in. Every stroller NEEDS cup holders! I Like the Britax Los Llevos Seguros Facebook Page. 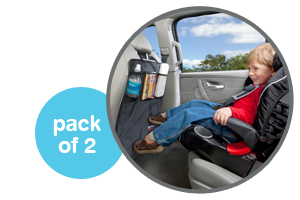 I would love to have the vehicle seat protector because I really want to save the seat in my van from total destruction! My son is always dropping things out of his carseat and some of the things could stain my seat! I Liked the Britax Los Llevos Seguros Facebook Page! Followed the @SafeConBritax Twitter as @TammyAllgood! I like the cup holder set for the stroller and the child tray. My son will soon start sitting up and the child tray is perfect for snacks and to hold his cup. I follow @SafeConBritax on Twitter @corellana86. I would love their back seat mirror (coming soon) because we now realize we need one for our little one while her car seat is facing backwards! oh my the cup holder would be great.... then we don't have to seach for it! I like the stroller caddy bc it provides extra storage and a drink tray option. I liked Britax Los Llevos Seguros on FB, I'm Melissa Belle there. Another accessory I like is the Storage Pouch because it looks very useful! 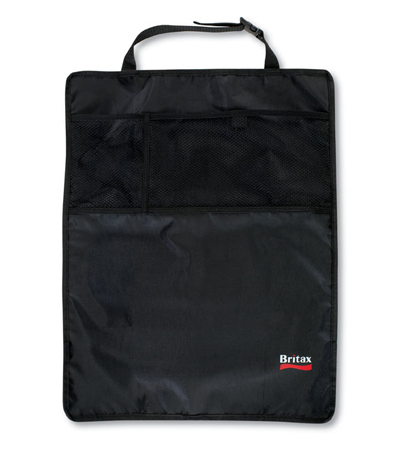 I follow Britax Los Llevos Seguros on Facebook under the username likwan. I follow @SafeConBritax on Twitter under the username likwan. I shared this giveaway on Facebook at http://www.facebook.com/likwan/posts/251287598304093. I tweeted the requested message on Twitter at https://twitter.com/likwan/status/212116514260779008.